The BBC SO's concert at the Barbican on Friday last came in slightly unusual proportions. Four works were given, with two relatively new Finnish pieces sitting alongside two classics from the modern British repertoire. The program was thus substantial, but the weighting was well-judged, with each half providing an abundance of contrastive events. John Storgårds led throughout with firm and fluent control. 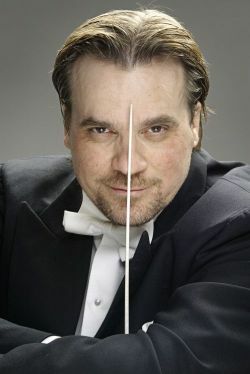 Magnus Lindberg's Ottoni was given its UK premiere at the head of the concert. Written for a brass ensemble of fifteen players, it is a work that works through all of the composer's familiar tropes of classical architecture, both of theme and of harmony, and rich local colour in scoring and density. The design was tight, with each phrase building on or falling away from the previous in terms of motion, and each echo and return of the opening germinal motif ratcheting up the tension before the final release to diatonic clarity. In this way, Ottoni, like so much of Lindberg's music, takes a sideways glance at the masterful musical motion of Robert Simpson (and thus Nielsen), whilst always suggesting fresh and tough avenues of intensity, usually gained through highly expressive use of register and instrumental colour. However I didn't find this piece, despite a solid if unspectacular performance, to be as emotionally engaging as some of Lindberg's other work. Britten's Variations on a Theme of Frank Bridge for string orchestra is a much more familiar work, but in this performance it sounded as fresh and as vital as it ever has. It is one of those works from near the start of a composer's career where s/he is clearly revelling in their gift, newly fluent with it as they are, and Britten here shows his utterly remarkable voice through the constant invention, industry, and variety on display. From the yearning added harmonies evoking Mahler in the Adagio, to buoyant strumming accompaniments in the Aria italiana, to the elastic pulse of the Wiener Walzer, to the glacial complex harmonics in the Chant, depth of emotion is an easy bedfellow to cheery good humour. Storgårds negotiated a limber path through all of this, always drawing out the full sweltering vigour of the ensemble. Despite some moments of untidy ensemble amongst the altos particularly, in the waltz, the performance was largely a potent reminder of the fecundity of the young Britten's musical gifts. 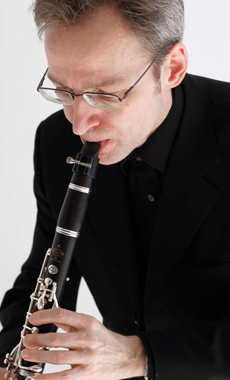 The clarinettist Kari Kriikku came on after the break to perform Jukka Tiensuu's concerto for medium sized orchestra and clarinet, entitled Missa. The piece adheres to the design of the Ordinary Mass, with Introit and Ite at beginning and end. Despite this, cryptologists would struggle, with the exception of the Credo where players are instructed to whisper their own personal credos whilst playing, to link the design to any specific spiritual inspiration. The work must be taken on its own terms, as a highly persuasive iteration of delicate colourings and fathomless expressivity. From the opening, with the crotales shimmering into view and with phrases pouring over each other in a mist reminiscent of Sibelius at his most ineffable, Tiensuu establishes the temper of his piece with charmed flair. The ensemble were careful to articulate the full colour of the music, and Storgårds ensured a forthright aspect too in the playing, particularly in the unexpected bellows of the Kyrie and the Sanctus. Kriikku was the undoubted focal point though. His lissom phrases in concert with the ensemble suggested a poetry of total sound that was absent when he fell silent. His virtuosity is such that Tiensuu allows him to take over the reins of creativity at five separate points, and improvise quite substantial cadenzas. These solos were bewildering. Extended techniques such as multiphonics, circular breathing, and breathy percussive use of the instrument were extensively explored, yet always and only as a means towards higher emotional expression. The soloist managed to thrill everyone in the hall time and again with sounds beyond the normal tenor of expression. His great achievement was that these sounds were always closely integrated into the argument of the piece, so that you felt they emerged naturally and logically out of the concertino flow. In the Gloria, for instance, at every moment of his cadenza, the jolly five-beat timpani cycle that dominated the movement bubbled under Kriikku's playing. Likewise in the Agnus Dei the ripples of the solo line were brought out and expanded upon in the cadenza. It was a masterful display, thoroughly deserving of the rapturous applause it received at the end. The concert closed with a stirring reading of Walton's Partita. It is an energetic and athletic score, with a lilting siciliano at its core, and it was dispatched here with all the skill and boisterous dexterity the evening demanded.